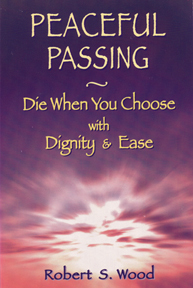 This book teaches you to take complete control of your easy, fear-free death by gently releasing your life force, instead of crudely, cruelly killing your body with suicide or euthanasia. Now you can take the easy way out, dying in your sleep wihen you choose without drugs or violence or assistance of any kind. Chapters include: An Overview; Tom’s Story; Death American Style; Introducing Channels; The Way Things Work; We Create Our Own Reality; Die When You Choose; How To “Let Go” and What Comes Next; Four Who Let Go; more. “We should depart the body by gently letting go of the soul. This beautiful book will show you how.” —Leonard Orr, author of Breaking the Death Habit.